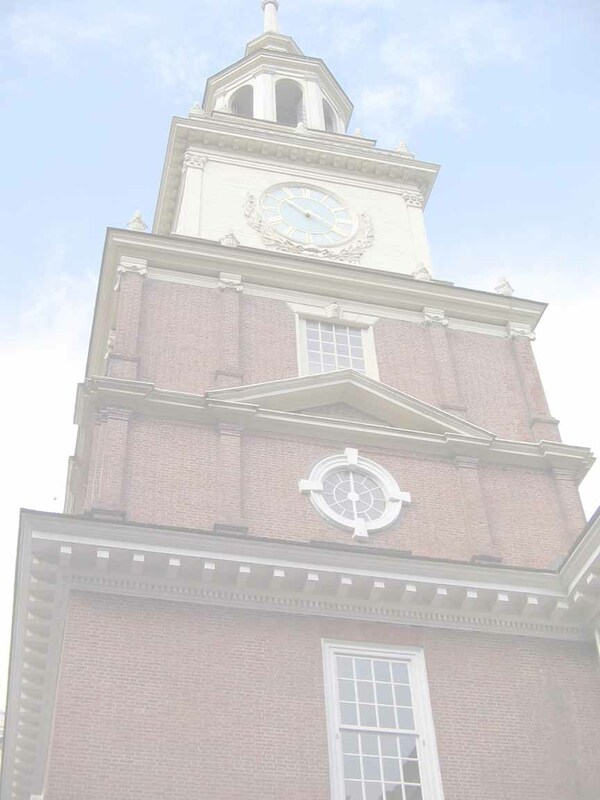 Gather the history and government facts to solve this mystery message about the U. S. Constitution. Enter the first letter of each answer in the message. The questions are in order left to right, top row then bottom row. 1. The month the U.S. Constitution was signed by the delegates at the Constitutional Convention of 1787. 3. The 1787 Constitution replaced the Articles of _ _ _ _ _ _ _ _ _ _ _ _ _ .
each state was given only one vote. The state's delegates all had to agree on their one vote. When everyone casts the same vote, the vote is said to be _ _ _ _ _ _ _ _ _. 5. This state did not send delegates to the 1787 Constitutional Convention. 6. Article II of the US Constitution establishes this branch of the federal government. Not a clue, just curious - Compare this to the constitution of your state or commonwealth. Does its Article II serve the same purpose? declared our first national _ _ _ _ _ _ _ _ _ _ _ _ . 8. A militiaman during the Revolutionary War, he played a critical role in establishing the financial stability of the United States. 9. The Fifth Amendment says, "nor shall private property be taken for public use, without just compensation." 10. They establish the rights of individual American citizens that the government must respect. _ _ _ _ _ _ _ _ _ _ _ _. 11. During the Constitutional Convention discussions, the doors to the building were _ _ _ _ _ _ .
protects citizens against the imposition of _ _ _ _ _ _ _ _ _ _ _ _ _. 13. The Constitution was written in this building. _ _ _ _ _ _ _ _ _ _ _ _ . 16. The Constitution became the law of the land on June 21, 1788, when this number of states had ratified it. 17. The fifth state to ratify the Constitution. and still preserve the rights of the _ _ _ _ _ _ . 19. On July 12, _ _ _ _ _ _ Ellsworth, of Connecticut, proposed that representation for the lower house be based on the number of free persons and three-fifths of "all other persons," (slaves). He participated in drawing up the first draft of the Constitution. 20. The last name of the oldest delegate at the Constitutional Convention. 21. Per the U.S. Constitution, all bills for raising Revenue start in this Federal government branch. 22. The Constitution specifies that the House of Representatives has the sole power to bring charges against an official. This is called _ _ _ _ _ _ _ _ _ _ _ .
the culturally refined. He believed the common working people would be left out. 25. Patrick Henry, an ardent advocate for the Revolutionary War said, "Give me Liberty or give me death". But he refused to attend the 1787 Constitutional Convention, saying he "smelt a _ _ _ ." Why was he so concerned about the convention? 26. Over 11,000 amendments to the Constitution have been introduced in Congress. Thirty-three amendments have gone to the states to be ratified. How many have been approved by 2/3rds of the States and so became the law of the land? 27. The length of service for an elected officials is called a term. Terms are measured in _ _ _ _ _ . 28. When the President refuses to sign legislation it is called a _ _ _ _. 29. The Supreme Court is the highest court in the U.S. The nine Justices hear cases and deliver _ _ _ _ _ _ _ _. 30. According to the Constitution, each state has this number of Senators. 31. The process by which citizens select the individuals who represent them in the government or decide an issue. 51st State - What are the protocols for U.S. statehood? Save a tree - use a Digital Answer Format - Highlight the text. Copy it. Paste it in a word processing document. Save the document in your folder. Put your name and the date in a header. Answer on the word processing document in a contrasting color (not yellow) or font (avoid symbol, , or other ornate artistic fonts). Save frequently as you work. I do not like losing mine. You will not like it either. Submit your response via a class drop box or email. Bad things happen: Save a copy of your work on your computer. Proof read your responses. It is funny how speling errors and typeos sneak in to the bets worck. How To: Make your own printed answer sheet.